How Do We Become More Christ-like? Jesus sought disciples after His own heart, and He found them, so what does it mean to be more Christ-like? How is this possible? 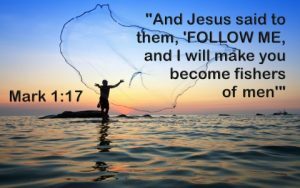 When Jesus called His disciples, He bid them to “Come, follow Me” (Matt 4:19), so to begin with, those who put their trust in Christ have chosen to follow Christ, and that means to follow wherever He goes and to follow His teachings or commandments, no matter what they are. After the Apostle Paul’s conversion, he told the church at Corinth, “Be imitators of me, as I am of Christ” (1 Cor 11:1), and this happened, particularly with the church at Thessalonica, who Paul writes to, saying, “And you became imitators of us and of the Lord, for you received the word in much affliction, with the joy of the Holy Spirit” (1 Thess 1:6). The church imitating Christ was “so that you became an example to all the believers in Macedonia and in Achaia” (1 Thess 1:7). Stephen, a deacon in the early church, imitated Jesus to the extent that when he was being stoned to death, and after “falling to his knees he cried out with a loud voice, “Lord, do not hold this sin against them.” And when he had said this, he fell asleep” (Acts 7:60). That is strikingly similar to Jesus statement on the cross, where He said, “Father, forgive them, for they know not what they do” (Luke 23:34a). Now that’s imitating Christ! When you suffer like Christ did (although not nearly as much), then you are imitating Christ. When you’re persecuted for Jesus’ name’s sake, then you are imitating Christ so closely that they associate you with Him! That means “If you are insulted for the name of Christ, you are blessed, because the Spirit of glory and of God rests upon you” (1 Pet 4:14), and who among us doesn’t want “the Spirit of glory and of God” resting upon them? Jesus did not want His disciples surprised by persecution and so He told them, “A disciple is not above his teacher, but everyone when he is fully trained will be like his teacher” (Luke 6:40), and so Jesus wanted them to “Remember the word that I said to you: ‘A servant is not greater than his master.’ If they persecuted me, they will also persecute you. If they kept my word, they will also keep yours” (John 15:20). This generally means that “a servant is not greater than his master, nor is a messenger greater than the one who sent him” (John 13:16), so if they treated Jesus with contempt and murdered Him, we cannot expect to be treated any better. To be more Christ-like is to suffer more like Christ did, so “Whoever is not with me is against me, and whoever does not gather with me scatters” (Matt 12:30). If you are for Christ, you must remember that “A disciple is not above his teacher, nor a servant above his master. It is enough for the disciple to be like his teacher, and the servant like his master. If they have called the master of the house Beelzebul, how much more will they malign those of his household” (Matt 10:24-25). If they associated Jesus with the Prince of Darkness, can we expect to be treated any better? No! Jesus said if they referred to Him as Beelzebul, which was an ancient Philistine god, how do you think they’ll respond to us? They may not kill us, but in their hearts it may be what they wish, and it may reach a point someday where “whoever kills you will think he is offering service to God” (John 16:2). If they persecuted Jesus, you know they will persecute us. “Indeed, all who desire to live a godly life in Christ Jesus will be persecuted” (2 Tim 3:12), so if you’re not suffering from persecution or you never have, then you must either not be living a godly life or you are a silent, underground, private-eye Christian who no one knows about, although by denying Christ by word and deed, Jesus says we are disowning Him, because “whoever denies me before men, I also will deny before my Father who is in heaven” (Matt 10:33). The disciple is like the teacher, or he or she is no disciple at all! Just like Stephen responded to his stoning to death in a similar fashion to Jesus’ asking those who were nailing Him to the cross for the Father to forgive them, as they didn’t really know what they were doing, so too must we face persecution, knowing they really don’t know what they’re doing. Why can I say that? The Apostle Paul says that those who don’t know Christ are blinded by the god of this world, and cannot see the glorious light of the gospel of Christ (2 Cor 4:3-4), and we wouldn’t scold a blind man for not being able to see, so how can we hold it against those who hate us and curse us if they don’t really know Christ? Jesus said, “Love your enemies, do good to those who hate you, bless those who curse you, pray for those who abuse you” (Luke 6:27-28). When I was a new believer, I took this type of persecution personally, and it was like they were all against me, but really, it was Christ they hated, and not me. It was my life in Christ that convicted them of their own sinful lifestyle without me saying a word. Even before I said a word about Christ, most of my old friends I used to run with as a youth turned their back on me and I was no longer their friend, but that’s okay since “whoever wishes to be a friend of the world makes himself an enemy of God” (James 4:4). I’d rather the world be my enemy than God. To be more Christ-like means we are following Christ. We are being persecuted like Christ (although not to the same extent). We are being hated like Christ. And we are no longer being “tossed back and forth by the waves, and blown here and there by every wind of teaching and by the cunning and craftiness of men in their deceitful scheming. Instead, speaking the truth in love, we will in all things grow up into him who is the Head, that is, Christ. From him the whole body, joined and held together by every supporting ligament, grows and builds itself up in love, as each part does its work” (Eph 4:14-16). You and I must be on “guard so that you may not be carried away by the error of lawless men and fall from your secure position. But grow in the grace and knowledge of our Lord and Savior Jesus Christ. To him be glory both now and forever! Amen” (1 Pet 3:17-18), and be willing “to offer your bodies as living sacrifices, holy and pleasing to God—this is your spiritual act of worship. Do not conform any longer to the pattern of this world, but be transformed by the renewing of your mind. Then you will be able to test and approve what God’s will is—his good, pleasing and perfect will” (Rom 12:1-2). Here is some related reading for you: In What Ways are Christians Called to be Like Jesus? or whatever I can to the elderly around me. (I live in a Government owned bldg for disabled). I just want for people to know I am a disciple for Christ and try to live as such. I fail daily, but I remind myself constantly of the persecution Jesus suffered and it brings me back to reality FAST! God Bless you and your articles! They are a part of my daily Bible Studies! Thank you Kim. It must feel like you’re in a spiritual wasteland, but at your fingertips is the Living Water and Bread of Life, Jesus Christ and the Bible! God bless you my sister. A timely article. I was facing a similar situation. I got really encouraged. Thank you. God is great!!!! Thank you so much Julie. How encouraging you are. God is good and to Him be the glory (Psalm 115:1). This article really helped me. The part about responding to persecution really hit home and showed how to think the right way when being put down and made fun of. Pride was bad with me before being saved and Jesus teaches me to be humble. He had to break me. Thank you for this. Previous post: Half Empty or Half Full?